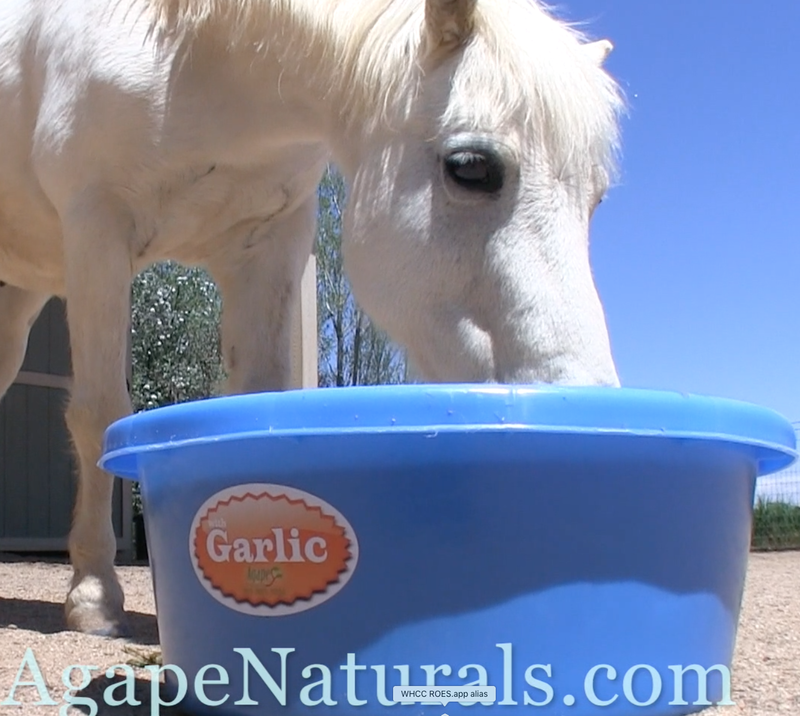 Keep flies away from your horses with EquiLix tubs with garlic. Garlic deters flies naturally–without the use of chemicals. Animals ingest the garlic it is emitted through the breath and skin. EquiLix with garlic is available in 50, 125 or 250-pound tubs. ORDER NOW! CALL: 303-905-3926 or check with your local EquiPride and EquiLix dealer! EquiLix is a free choice non-molasses, non-starch lick block, formulated especially for horses, donkeys and mules. It comes in three sizes: 50lb suitable for 1-2 horses, 125lbs suitable for groups of 4-5 horses and 250lbs suitable for 10 or more animals. SweetPro pioneered the solidification of fermentation feeds such as distillers’ grains into solid blocks (known as EquiLix) and our own fermentation process to produce a unique “blend additive” called ProBiotein. Yeast and enzyme levels in ProBiotein greatly enhance the digestion of forages, so horses get more out their hay. In fact up to 25% better feed efficiency by using SweetPro products. Organically complexed trace minerals help improve bioavailability of those important minerals. Plus we’re adding the FlaxFactor–stabilized milled flax with its high levels of healthy omega 3 fatty acids. Sold in 50lb, 125lbs and 250lbs. All our SweetPro products, including EquiLix, break from the tradition of molasses blocks, and provide your horses with healthier supplements that help their digestive systems perform at their natural best. The benefits from our blends of ingredients and advanced processes, supports animals that grow stronger, faster and avoid many of the health problems with which cattle, horse, sheep and goat owners traditionally have struggled. The yeast in Probiotein, cultured on a media of wheat, oats, barley malt and flax, is rich in biotin and other nutrients to aid digestion. Pre-biotics, also known as oligosaccharides feed the beneficial probiotic bacteria, are a key part of the ProBiotein additive. These prebiotics help maintain good digestive tract health. Enzymes, the catalysts of digestion are included in a fibrinolytic, amylolytic & proteolytic array to assist fiber, protein and mineral utilization. Flax helps in many ways. The oil is dense energy which is high in Omega 3 fatty acid content. Omega 3 is an essential fatty acid often missing in modern diets. Flax is also among the richest sources of lignans, which help improve immune function. Organic complexed minerals are featured. Zinc, copper and manganese are complexed, or bound to protein instead of other minerals, assuring high bioavailability. EquiLix also includes ethyl alcohol to raise palatability, enhance fiber digestion and add another non-starch energy source. This free choice version is extremely beneficial for horses with gastric ulcers. EquiLix provides your horse with the needed multiple small meals per day and additional calcium and magnesium to help combat gastric acid. The EquiLix allows horses to choose when and how much their bodies need on a daily basis. Consumption will vary depending on the horse’s needs, time of year and quality of forage. Additional consumption variables may be weight, health, injuries/illness, exercise level, breeding mares/stallions, nursing mothers, growing babies and many other issues that place demands on the horse’s body. We expect most horses to consume 1-1.25 lbs. /day on average. Don’t be alarmed if it takes 30-60 days for your horse to level out on consumption. You may feed EquiLix with just hay or continue with your feeding regime and provide the EquiLix for anything additional your horse may need. The EquiLix is weather resistant and may be placed outside if need be. Simply spray it off if it gets soiled. Place the lick away from the water source so that horses walk to the water source and share the lick with other animals. Watch your water tank. Horses will consume more water using this product which also aids in digestion.